Once comfortable on the Renew Therapy treatment bed, inflatable cuffs (similar to blood pressure cuffs) are wrapped around the calves, thighs and hips. ECG sensors are then placed on the chest for heartbeat detection. During treatment, the cuffs inflate and deflate in time with each heartbeat. Inflation happens sequentially from the calves up to the hip, boosting blood flow in and around the heart. The rhythmic pulsing of the cuffs is firm, yet comfortable – like a leg massage. ECP is non-invasive, validated and effective. If you have any questions about how Renew ECP Therapy works, the key benefits or what it feels like we have a comprehensive FAQ section. The endothelium produces nitric oxide when stimulated through increased blood flow. Find out how this impacts on overall health and sports performance. 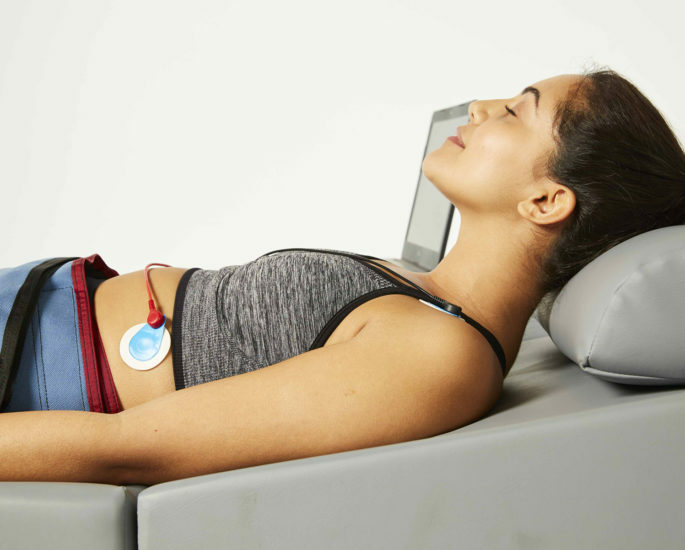 Renew ECP Therapy is actively looking for forward-thinking medical, sports and health Operators looking to expand their treatment services in this fast growing market.